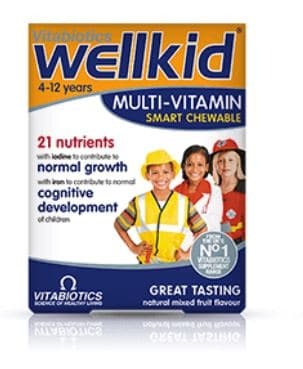 Vitabiotics Wellkid great tasting chewable multivitamin. 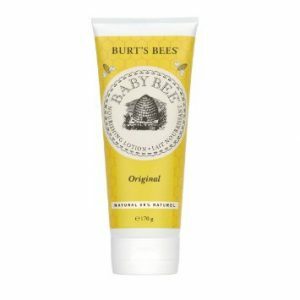 It provides a comprehensive range of vitamins, trace minerals and vegetarian flaxseed oil, specially formulated to help safeguard the nutritional intake of children aged 4-12. 30 chewable tablets. No artificial flavours or colours, preservatives or lactose, salt or yeast. Gluten free. Wellkid is not tested on animals. Flaxseed Oil Powder, Vitamin A, D, E, C, Thiamin, Riboflavin, Niacin, Vitamin B6, Folic Acid, Vitamin B12, Biotin, Pantothenic Acid, Magnesium, Iron, Zinc, Copper, Manganese, Selenium, Chromium, Iodine. Chew one tablet only. Do not exceed recommended intake. Do not give to children under 4 years. There is no need to take an additional multivitamin.